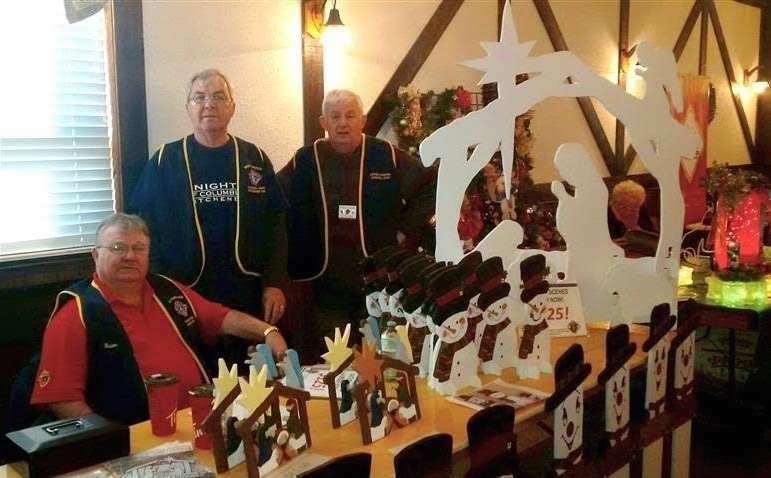 The K of C festive decorations were on sale at the Schwaben Club’s Christmas Bazaar November 13. Manning the booth for Council’s first appearance at the Club (L to R) Brothers Brian Hughes, Reinhart Schreiter and Gerry Kelly. Not shown are Brothers Brian Schmalz and Fernando Melo. While many viewed the display table, some sales were made that will go to aid the work of the K of C.